Blackmouth fishing (weather permitting) has been excellent. The Olympic Peninsula Salmon Derby results show that 84 salmon were weighed in the first day of the derby, compared to 63 salmon last year for all 3 days of the derby. This year on the second day, 92 blackmouth were recorded and on the final day 32 more salmon were weighed in for a total of 208 fish. The average weight of the fish caught was 8 lbs. Tony Beam from Hansville took first place with a salmon weighing 15.25 lbs. He also took home a $10,000 check! Ben Power from Olympia was second with a 15.10 salmon and Derek Madison of Port Angeles was third with a fish of 14.85 lbs. The average weight of the top ten salmon was 13.4 pounds. The fishing in the Area 9 Pt. No Pt. area has been good with salmon in the 6 – 9 pound range being the most common. A few being caught are in the low teens. Mid Channel Bank in Port Townsend has also produced some good fishing. The bigger fish for the most part have been caught on 5” Silver Horde plugs and 4.5 Pro Troll E Lures fished in the bottom 10 feet of water. The best depths are 90 to 130 feet. Larger lures means larger fish and fewer shakers (encounters)! FINALLY ! It was great to get out on the water again in Area 9. The weather has not been too cooperative but we did manage squeeze a few days. The tides were ripping most of the weekend, so we hung on to deeper water off the shelves at Possession. The 180 – 190 foot mark with 180 on the Scotty’s gave us some pretty quick trips using Irish Flag and Cookies n Crème tailwaggers. Great reports from Mid Channel Bank / Double Bluff / Point No Point and Possession so there are a lot of kings out there to be caught. The salmon fishing in area MA 11 opened 2/1/17. When winds have allowed anglers have been fishing 120′ to 150′ trolling flasher and spoon or flasher squid from the Slag Pile to Les Davis, Quarter Master, and the shelf are off the Clay Banks. There has been plenty of bait seen but the salmon have been under legal size or wild fish for the most part. A few legal fish have been caught. In area MA 13 there has been a few legal Chinook caught around Fox Island mostly near Pt. Gibson, Green Pt. and the entrance to Wollochett Bay. Trolling flasher and spoons or artificial squid in 120′ to 150′ of water about 10′ off of bottom seems to be most productive. The largest Blackmouth in our January Monthly derby so far is from there and weighs 5 pounds 7 ounces. For an updated report call (253)591-5325. 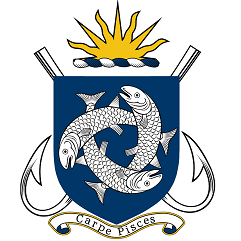 Crabbing is now closed until July 1 with no winter crabbing in Area 11. For a more up to date report call 253-591-5325. The next Pier Peer in Tacoma – Marine Education Night is March 11, 2017 from 7:30-9 pm . See and touch marine life brought up from the deep by local divers and find marine life on lighted piers. Cost $8 for ages 8 +. Must have an adult with each youth. We are now getting western Washington rain. The snow is going away but the lakes are still ice covered. I have seen some melting, but the roads that would take you into most of the March opener I still would not drive on. With thawing, the roads may become mushy. All paved roads are good. The next week we could see changing conditions. Check out the fishing rule books to see just what lakes are to open. Things have finally warmed up and our winter weather is a little more “Vancouver” like these days. Even though we did have quite a bit of snow this past month, we managed to get out frequently. On most days, we hooked some pretty nice fish. Over the last few weeks we have started to see some larger fish in the mix with some fish nice fish up to the 20 pound mark landed! Prawning and crabbing have been pretty good as well. As usual for this time of year, we have been moving around quite a bit and finding fish in all of the normal winter chinook salmon spots. Vancouver Harbour, Howe Sound, and the Gulf Island’s have all had fish in varying numbers depending on the day. We had a few pretty good days off West Vancouver last week. Check out this great unique video by www.corbiefieldwalker.com . We enjoyed a great day salmon fishing off West Vancouver after a snowfall in Mid February. As we get in to March we should see some fish start to suspend in the water column a little more. Areas like Hole in the Wall and the Bell Buoy are often pretty good bets in March. We have been having most of our success by running a mix of spoons and hootchies near bottom in 90 to 200 feet depending on where we are fishing. The spoons that have been good for us have been the G Force Trailhead, G Force Bon Chovy, Outfitter Skinny G, Bon Chovy Skinny G and the Silver Horde Irish Cream in 3.0/3.5. Hootchies that have been good have been the Yamashita green and chartreuse spackleback as well as the straight glow Yamashita. Our favourite Guide Series flashers have been working as always. 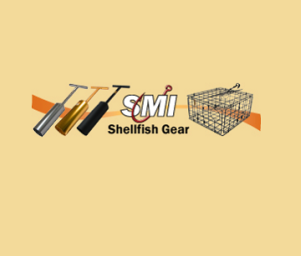 Stop by our charter/tackle shop on Granville Island for the right gear for local waters. Sturgeon fishing has started to pick up in the Fraser River and the cold weather and ice flows and are behind us now. Sturgeon fishing is also a great option in the spring time! 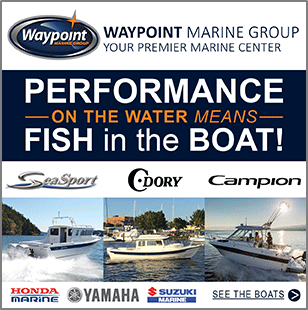 Please give us a call if you would like to get out on the water! Now is a great time of year to do a Winter Chinook Package with waterfront accommodation on Bowen Island! Check out this link for more info. This salmon hit a green nickel coyote spoon in 90 feet of water. It has been a relatively long and colder than average winter in all areas located in Central and West Coast Vancouver Island. Spring and summer are coming and when finally arriving we can expect the weather conditions to improve and allow for some productive days out on the water. Winter Chinook fishing in Barkley Sound and close to the Bamfield Harbor has been slow but should improve if the herring spawn is anywhere like 2016. Over the past six weeks there has been some opportunity for a few avid anglers to get out salmon fishing in the afternoons when there has been some warmth from the sun. There have been reports of a few feeders being landed around Kirby Point and all the way up to Edward King Island. There have also been a few feeders landed around Scotch Bay and up at the whistle buoy. Those few anglers on the water have been fishing depths from sixty to one hundred and fifty feet. Anchovy and herring on the troll in various glow teaser heads with a six foot leader have been working. Three and a half inch spoons in Irish Cream, Cookies and Cream, cop car, and a four inch Gibbs green glow are great choices. Hootchies in purple haze, green spatter back and glow whites should also be excellent choice of lures. The key regarding Winter Chinook fishing is finding the bait. When one finds bait there should be some success. 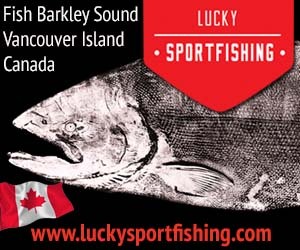 There are herring balls close to Bamfield and many areas of Barkley Sound. The Herring spawn normally occurs in March which should provide for some greater improvement in the Winter Chinook fishing. The first weekend of March will see the areas first salmon fishing derby. The annual Sproat Loggers Derby will be hosted out of Poett Nook (also derby headquarters) which is located at the far end of the Bamfield Wall and in Sarita Bay. The last few years have seen over 400 entrants and there have been fish historically weighed in over twenty pounds. 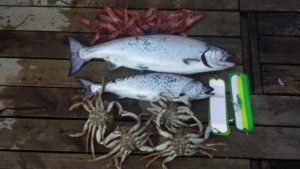 The derby is usually marked as the beginning of the saltwater season in Barkley Sound and has some wonderful prizes. 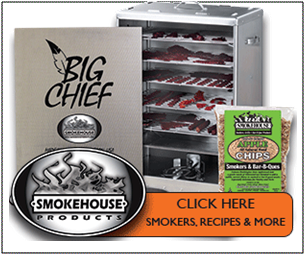 Information can often be found online and derby entries can be obtained at Gone Fishing Stores. At the time of this writing we are still waiting for an update on projections for Sockeye returns to the Somass River. The various indicators and early pre season reports are not looking favorable for a good return. The last two years have been from 1.2 to over 2.3 million pieces returning to the Somass River system. On the other hand West Coast Vancouver Island Chinook returns where stocks have been enhanced have a fairly good outlook status for 2017. 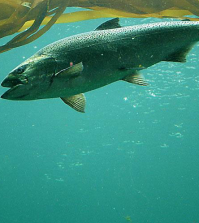 The 2012 and 2013 salmon stock that went to sea have done very well in terms of survival and the return of a good number of four year olds and some five year olds to the West Coast should provide for some relatively big fish in what is termed “TYEE” size. 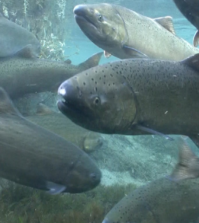 The 2017 Chinook returns to the big watersheds to the south were released in December 2016. The returns of what might be termed “early summer and mid-summer” are not bad and are on par with the TEN year average. The big watersheds are the Columbia, Kalama, Cowlitz, Sacramento, and Willamette. The Chinook travel as if on a highway along the coast of West Vancouver Island and sit out on the many sandy banks and feed on vast amounts of bait fish. These salmon also migrate into Barkley Sound and rest and feed on the rich resources of bait in many of the favorable Barkley Sound salmon fishing areas. 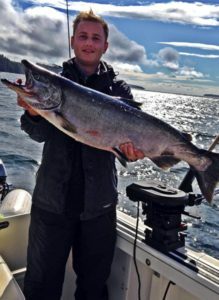 With this in mind the salmon fishing for Chinook in late May, June and July should be relatively good for all anglers fishing the sound and offshore. Over the last few weeks Stamp River conditions have been favorable. The water has been at the time of this writing is clear and low. Anglers have been using longer leaders and very light tackle. Those in the river have been on average hitting a few fish per day. 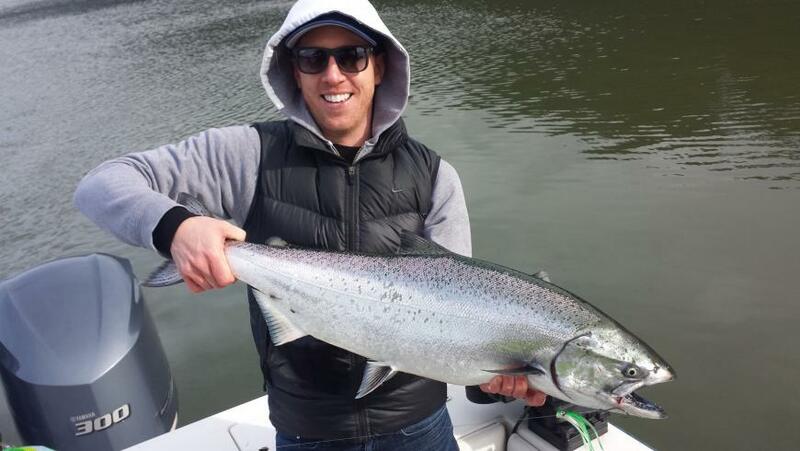 Steelhead fishing has been in both the upper and lower river. There are Winter and Fall Steelhead in the system. These fish will spawn in the spring. Hopefully when conditions warm up so will the Stamp River fishing. Our Halibut fishing opened on February 1st and should remain open for the rest of the year. Restrictions this year are the same as last year with a 2 fish possession limit. Only 1 of which can be over 83cm and nothing over 133cm (133cm = about a 70 pound fish). We opened with terrible weather and not much opportunity for fishing. Once the weather settled down and we got out to fish, they were biting. Using the standard spreader bar set up with Salmon, Herring and white Berkley power grubs we kept 2 last Saturday that weighed out at 35 & 42 pounds. Salmon fishing has been good with lots of small fish in the area. Most fish that we’ve sampled have been full of needle fish or nothing at all in there bellies. Fishing with needle fish hootchies and smaller spoons has worked well. Salmon fishing was GOOD this past week. Springs are all throughout the area and the Trap, Aldridge Point, the bay and Church Rock all produced fish. More large fish came from the inside of the bay rather than in the strait. The largest salmon of the week was a 10 lb spring caught inside the bay. The fish haven’t been too picky about what they will strike. Most of the anglers are using artificial lures and are trolling close to the bottom. Spoons, especially G-Force and Skinny G spoons, in Bon Chovy or Outfitters’ colours have been very effective. Anglers using bait are catching their share of salmon and are finding anchovies in glow teaser heads have been working best. For flashers, the Betsey, Lemon Lime and Green/Silver Hot Spot have been good. Salmon fishing was FAIR recently. There are lots of small springs on the flats but not too many keepers. Most of the local anglers are fishing at Constance Bank, the waterfront and Border Bank, as the seals have been bad in Oak Bay. All of the anglers have been bottom bouncing or trolling close to the bottom. Good trolling lures have been Coho Killers, Bon Chovi or Outfitters Skinny G spoons or AP Tackleworks needlefish spoons. 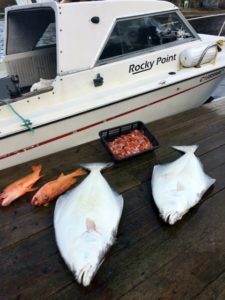 Halibut fishing was SLOW this past week but some did get caught in the Race Rocks area. Most anglers that were fishing for halibut are using extra large herring, salmon bellies and/or octopus for bait. Also working well was the 8” Powerbait Grubs and Delta Hali Hawgs. Salmon fishing was SLOW this past week. There were a few keeper springs coming from Patricia Bay and Fairfax Point. Anglers using spoons found Coho Killers, Gibbs Needle G and AP Tackleworks spoons the most successful spoons this past year. Anchovies and Tiny Strip were the good producers of fish. The salmon fishing has been FAIR for springs. Most of the fish are less than 8 lbs in size. The best fishing has been from the harbour entrance westward to Otter Point in 110 – 150 feet of water. The salmon are holding close to the bottom so you have to troll deep. Most of the anglers have switched over to artificial lures but the largest fish have been caught on bait. There are large herring in the area and the bigger fish are keying in on them. The top spoons for Sooke anglers have lots of green, glow or Moon Jelly as the primary color. Anchovies are still a good choice for bait though and good choices for teaser head colors are UV Green, Chartreuse, Bloody Nose and Purple Haze. For flashers, you can’t go wrong with a Super Betsey, Madi or Bon Chovi Flasher. Hootchies in White, Glow/Green and Purple Haze have been effective recently. We did hear that some halibut were caught west of Sooke. Fishing for salmon was FAIR this past week. Constance Bank was where most of the action was happening, with seals as well as salmon. Most of the salmon have been in the 3 to 9 lb size range but there are some larger ones into the teens around. Closer in, the 50-130 foot depths have been best off the waterfront. Good areas have been Finlayson Point, Clover Point and Brotchie Ledge. Gerry Frost caught a 13.9 lb spring near Brotchie Ledge. 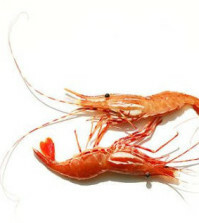 We also heard of some nice ones caught on a Tiger Prawn Coyote spoon on Sunday off of Clover Point. Your lure should be close to the bottom when trolling off Victoria. The same depth and technique has been working well out at Constance Bank. Spoons have been very successful in getting hook ups. Green Spatter Back UV Coho Killers, 3.5” Cop Car spoons or AP Tackleworks herring spoons have brought good results. Fishing was SLOW in most lakes for trout and SLOW for bass. Winter run steelhead are now n most rivers on both sides of the Island. COWICHAN RIVER – The Cowichan blew out again this past week. Today the water level is at 1.9 meters near the lake and 1.75 meters near Duncan. There are steelhead in the river and fishing has been picking up. The Riverbottom to Skutz falls area has been best for steelhead. Fishing for trout with egg patterns in the fly only area has been quite good.